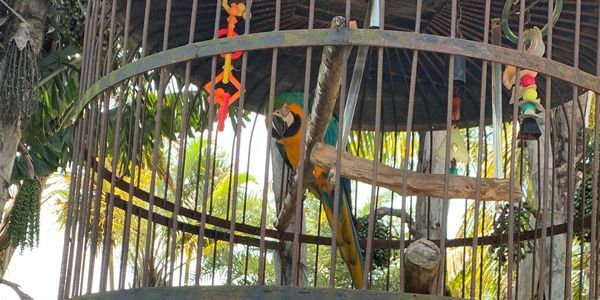 petition: Justice for Birds Forced to Live in Small Cages! Justice for Birds Forced to Live in Small Cages! I came to Jerry's Foods in Sanibel Island, FL about 5 years ago and the same bird is in the same cage. There are about 5 exotic birds (parrots, and more) that are kept it small cages at Jerry's Foods (supermarket and shopping mall) in Sanibel Island, FL. The birds are picking at their feathers in distress and have a very small space that they are forced to live in. I have seen rats come into the birds' cages and steal their food and the birds were afraid of them. These birds should be released from the hazardous conditions they are forced to live in so they can have a free and better life.